Last Updated: April 17, 2019 · Published: January 1, 2018 By: Asian Caucasian 4 Comments This post may contain affiliate links or sponsored content. So, here’s the deal — how about a little Asian-Jewish fusion for lunch? The other day, I had this vision of marrying the inside of a sushi California Roll with an everything bagel, and violà, I present to you the California Everything Bagel Sandwich! 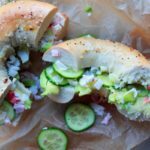 Stuffed with the goodness of imitation crab flakes from Trans-Ocean’s Crab Classic, chunks of red onion and celery, and topped with avocado and sliced cucumbers, all tucked nicely into a fresh everything bagel. My Jewish roots are definitely coming out! For this post we’ve partnered with Simply Surimi Seafood. You’ll definitely want to pack this lunch! 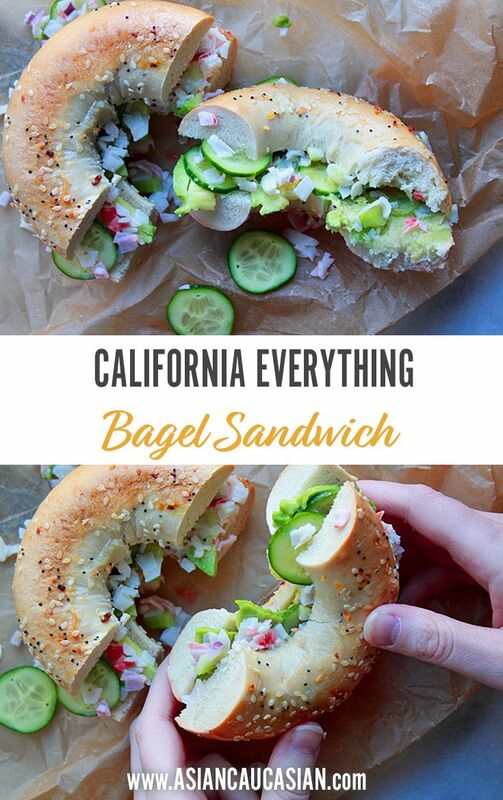 This awesome crab mixture tastes like a California Roll presented in a fresh everything bagel. A little Asian-Jewish fusion cuisine for your recipe box! For this “California Roll” mixture we used imitation crab flakes, mayo, and chunks of red onion and celery. And that’s it! You can always throw it on a salad if you don’t want the carbs! 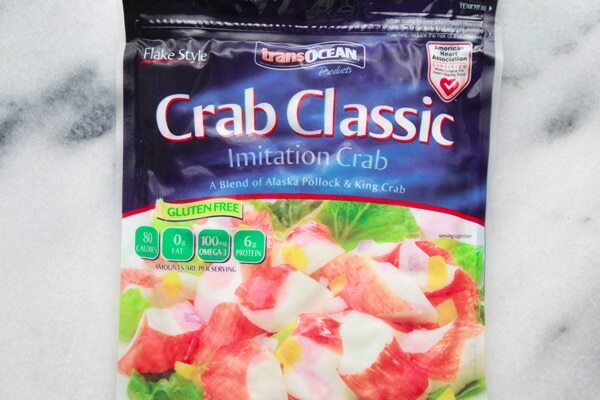 This imitation crab from Crab Classic is so good in this seafood mixture! Already cooked, flaked and ready to eat! This awesome crab mixture tastes like a California Roll presented in a fresh everything bagel. 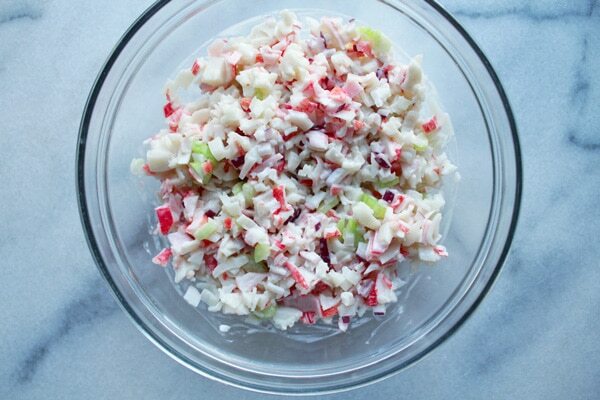 In a medium mixing bowl, combine the crab flakes, red onion, and celery. Fold in the mayonnaise until well-combined. 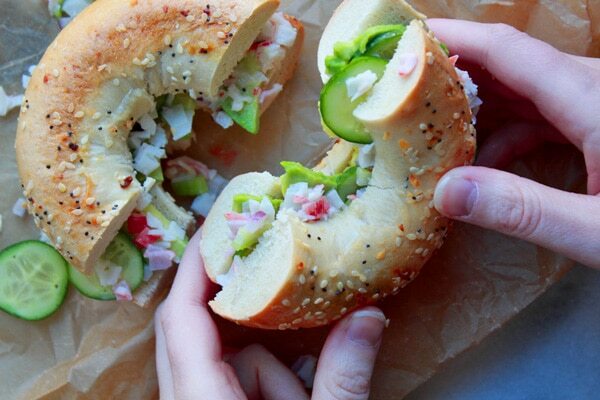 To assemble the sandwich, place a heaping amount of the crab mixture on the bottom of the sliced bagel, add slices of cucumber and avocados and top with other half of bagel. Enjoy! 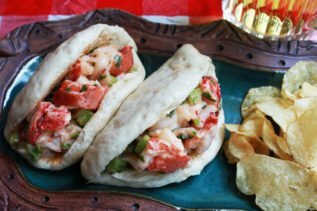 If you liked this recipe, try our Simple Asian Lobster Rolls. This sandwich looks yummy, perfect for lunch! It’s a nice twist on the sushi California roll for sure! And if you like bagels like I do, it’s a winner for lunch (or breakfast)! Love the Asian-Jewish fusion! Love the flavor of California rolls but rarely get sushi so this is a perfect alternative! This really is a great alternative to sushi! Although, I could eat sushi every day! Hope you try this fun bagel sandwich!